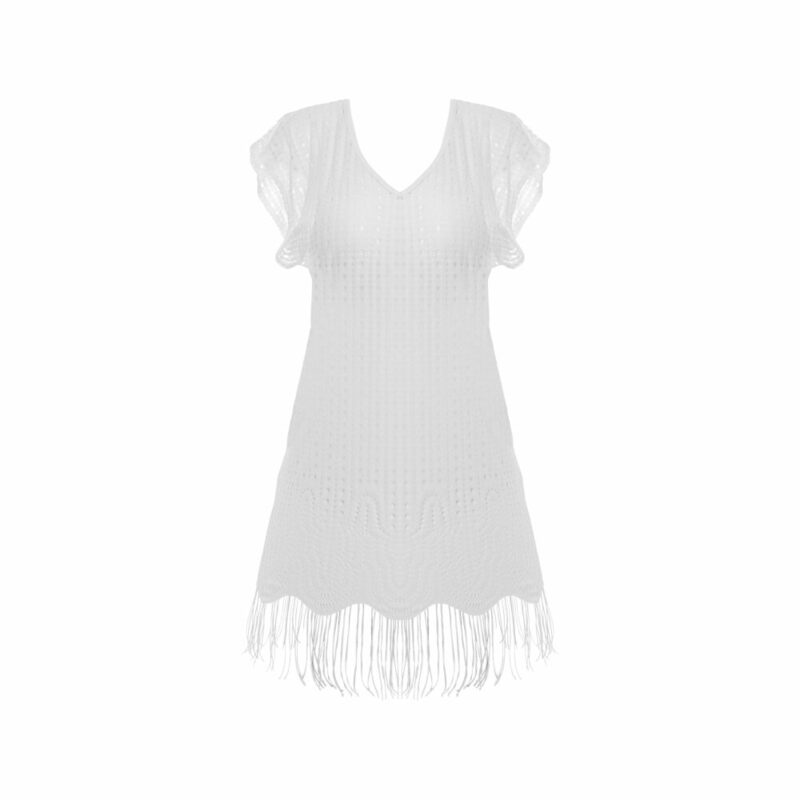 The Fantasie Antheia Tunic in white is the perfect addition to any holiday wardrobe. It’s lightweight, flattering and perfect for beach strolls. This Fantasie Tunic boasts a casual, loose fit and skim over your hips and bust for a flattering look. While the elegant capped sleeves and short hemline provide the perfect amount of coverage under the summer sun. What’s more, this tunic is made of gorgeous lightweight crochet material that will keep you cool. In addition, the solid white colourway means it can be paired up with lots of different coloured swimwear, making it ultra practical. Wear your Fantasie Antheia Tunic in white over any piece of swimwear – bright and bold or subtle and understated. Lightweight fabric – Comfortable and easy to wear, this tunic is great for hot sunny beaches. Beach cover-up – Designed to provide that extra bit of coverage around the pool. Crochet detail – Fantasie lingerie is all about the detail, and the beautiful crochet details give this tunic a feminine finish.